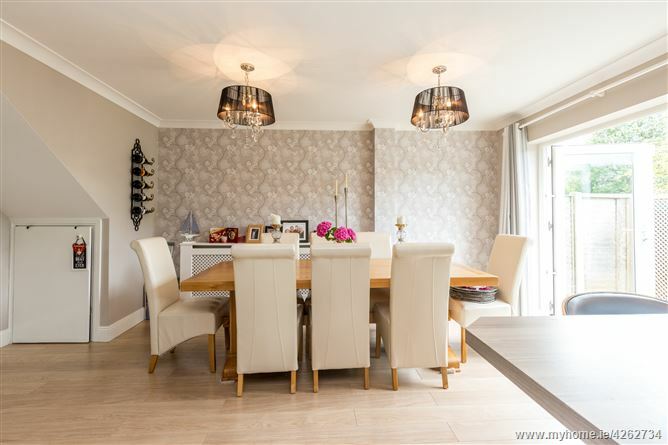 A magnificent family home presented in simply walk in condition. Welcome to No. 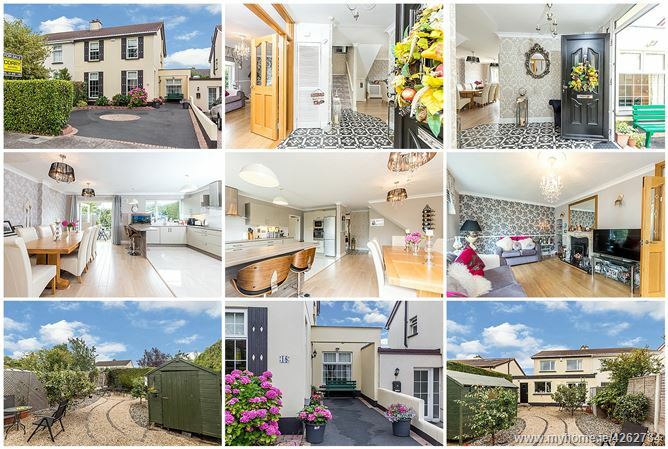 18 Wheatfield Road a property that presents a very rare opportunity to acquire an extended and extensively refurbished 4 bedroom semi-detached house. 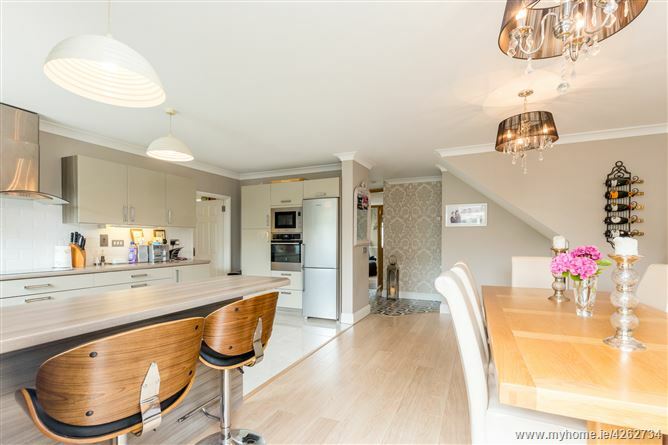 Upon entering viewers will be instantly impressed by the spacious open hall with beautiful mosaic tiling which leads to an extended open plan kitchen/living/dining area which has been fitted out to the highest of standards with a stylish high gloss fitted kitchen. The garage has been converted into a playroom/study off which there is a guest w.c. & wet room. 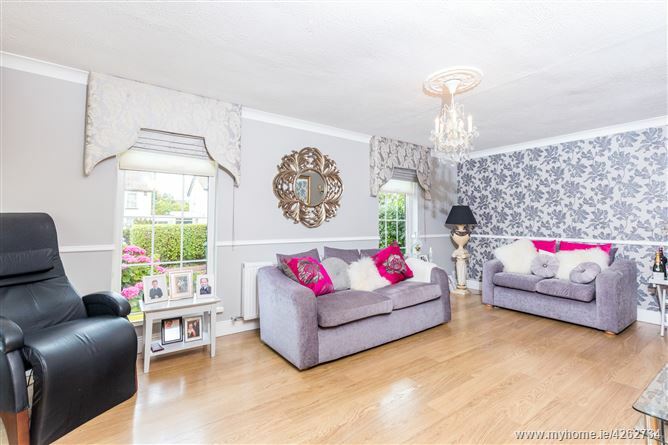 There is also a large living room to the front of the property with a feature marble fireplace which completes the ground floor accommodation. 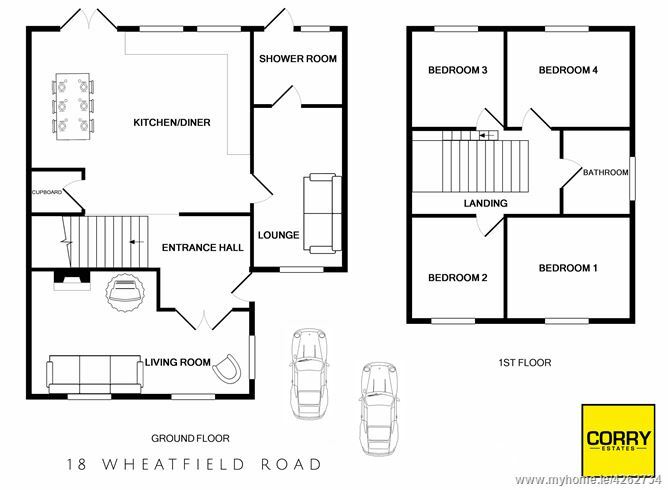 On first floor level there are 4 bedrooms and a modern bathroom suite. 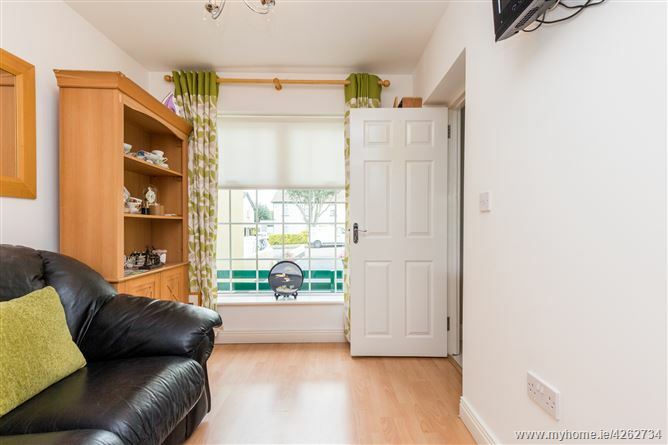 Further features include: PVC double glazed windows, landscaped rear garden, low maintenance front garden and burglar alarm system. 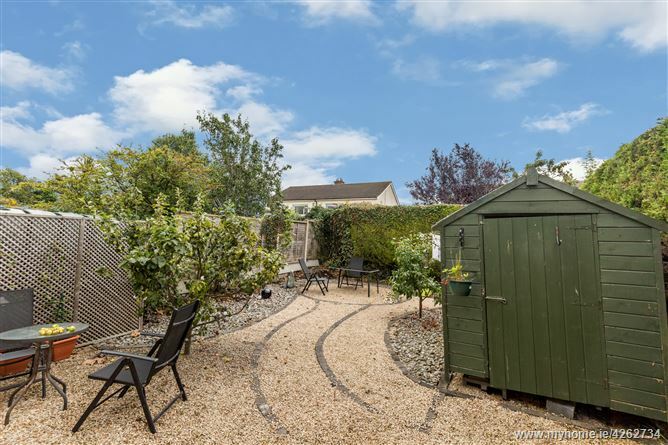 Ideally located on a much sought after and mature tree lined road this fine family home is within walking distance of shops, schools, leisure centre, commuter transport links and Portmarnocks famous beach. Viewing comes highly recommended. 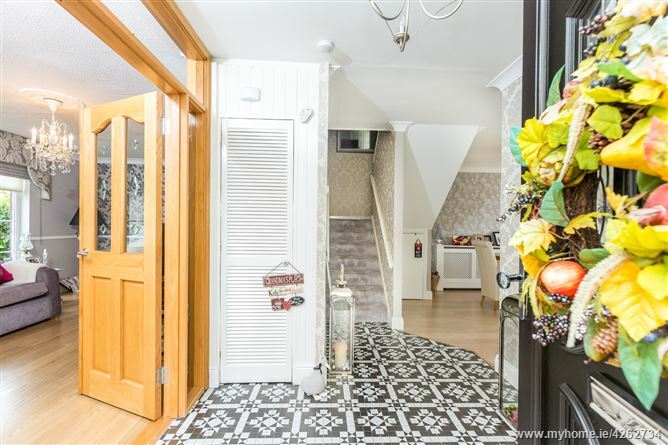 Entrance Hall: 2.33m x 6.03m with mosaic tiled floor, ceiling coving & storage press. 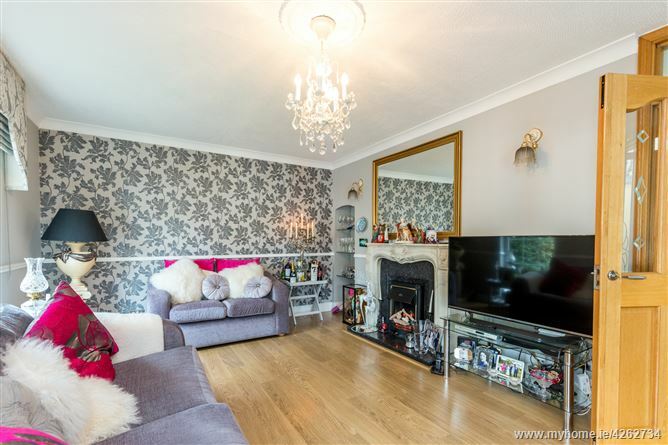 Lounge: 3.57m x 6.11m with feature marble fireplace with open fire. Dado rail. Laminate flooring. Ceiling coving with centre piece. 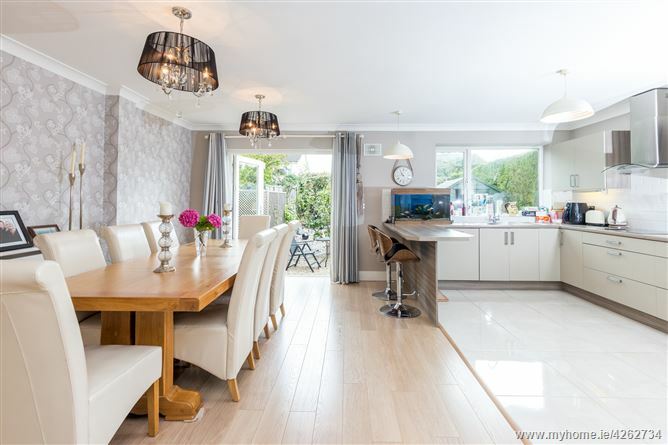 Open plan Kitchen/dining area: 4.84m x 6.06m with range of stylish high gloss fitted press units with tiling behind the worktops. Plumbed for dishwasher. 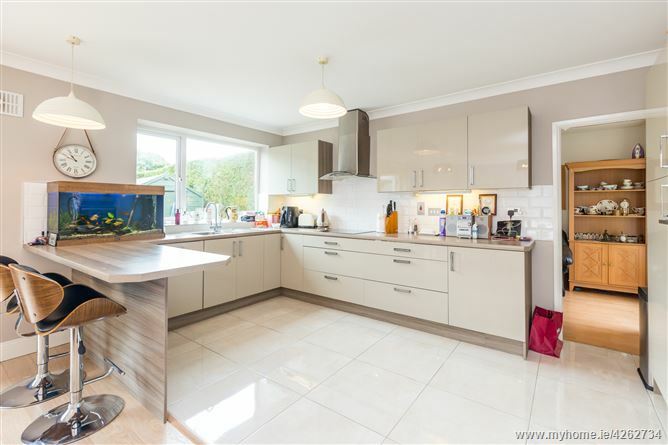 Tiled floor in kitchen area & laminate flooring in dining area. 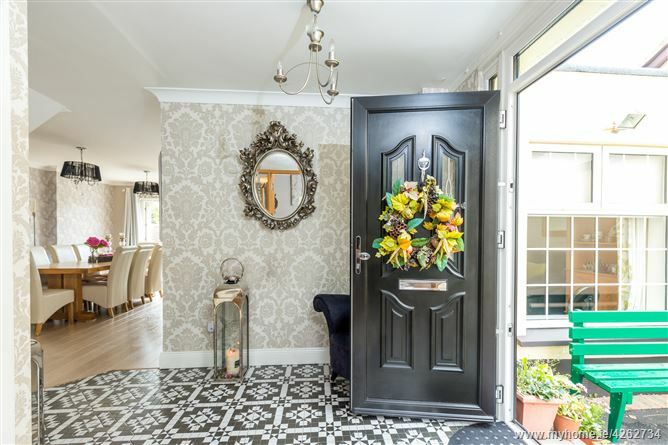 Double doors lead to the rear garden. Playroom/study: 2.71m x 2.34m with laminate flooring & TV point. 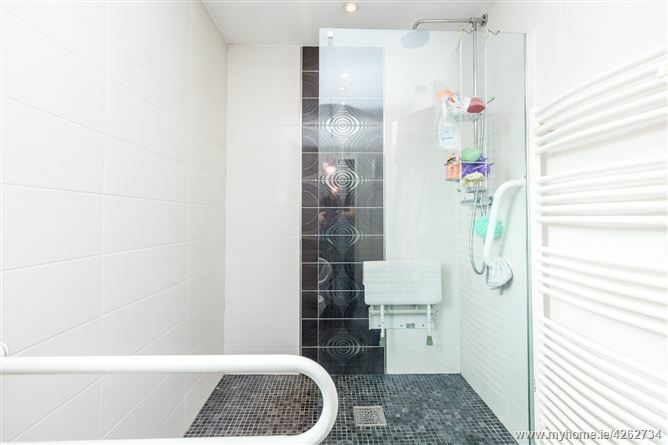 Wet room/Guest w.c.: 1.84m x 2.31m comprising electric shower, w.h.b. & w.c. Fully tiled floor & walls. Access to rear garden. 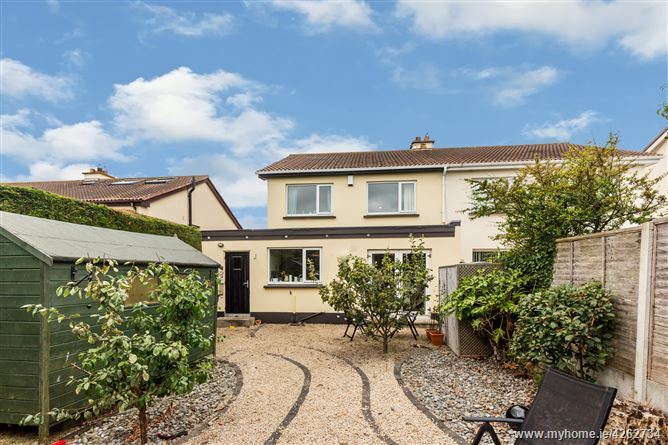 Landing: 1.73m x 4.28m with access to attic. 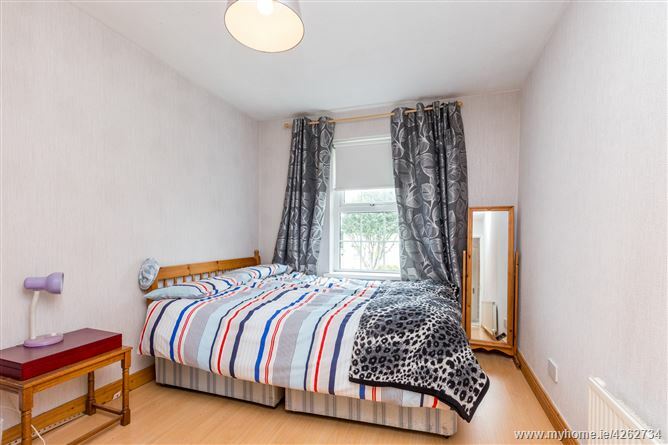 Bedroom 1: 4.47m x 3.27m with range of built in wardrobes. Laminate flooring & TV point. Bedroom 2: 4.45m x 2.71m with built in wardrobes. Laminate flooring. 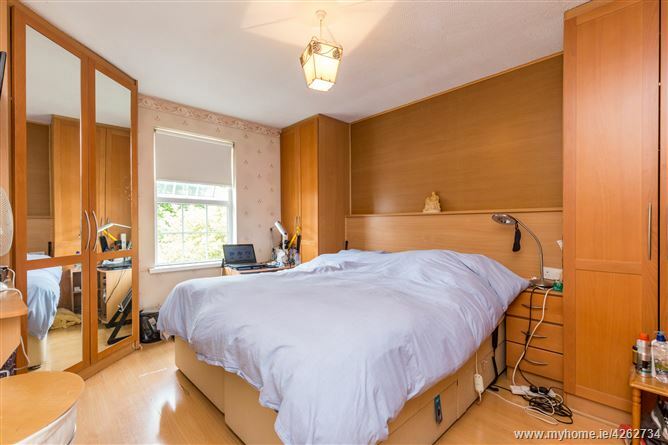 Bedroom 3: 2.79m x 3.29m with built in wardrobes. 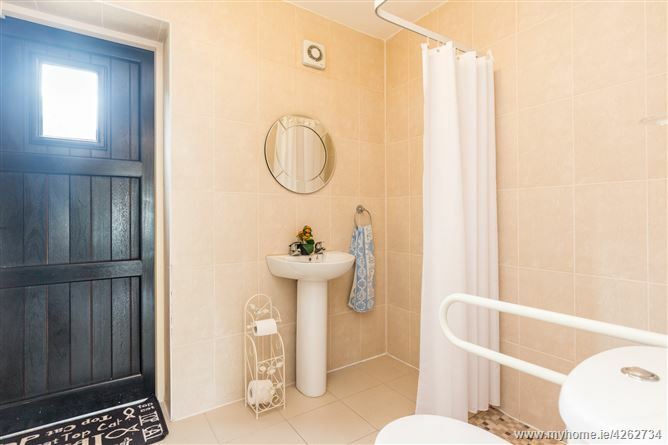 Bathroom: 3.20m x 1.69m Comprising walk in shower, w.h.b. & w.c.. Heated towel rail. Shower screen. Fully tiled floor and walls. Walled and fenced gardens front and rear. Shed with power plumbed for washing machine and dryer. 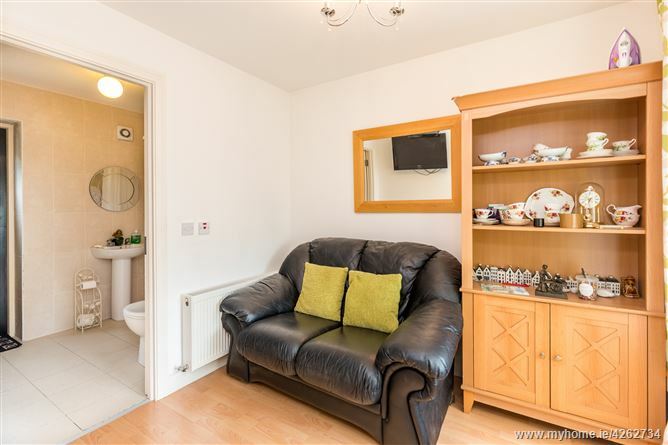 washing machine, dryer and 2 seater couch in playroom.